Think of Lubbock and the upbeat harmonies of Buddy Holly’s Peggy Sue or the red and black-clad Texas Tech Raiders likely come to mind. Yet there’s something else that defines this hub of the High Plains, and it just might surprise you. Wander just outside of town for long enough and you’ll see acres upon acres of flat West Texan landscape blanketed in rows of grape vines that grow fruit used in wine. You see, more than 90 percent of the state’s wine crop is grown here, and six local wineries put those grapes to good use creating world-class wines. At the heart of this thriving wine scene is Lubbock, an ideal starting point to tasting the best of West Texas wine. Read on to get to know Lubbock’s wine scene and why you should get your own taste of the High Plains. These days, the Lone Star State is known as one of the top wine-producing states in the country. But it wasn’t always this way. Texas didn’t have much of a wine scene until 1966, when Texas Tech University professors Clinton ‘Doc’ McPherson and Robert Reed planted an experimental vineyard of 140 varieties to see which would work best in the High Plains. Ten years later, McPherson and Reed founded Llano Estacado Winery, Lubbock’s first winery that is still one of the finest in the state. Over the years, Llano Estacado would become just one grape on Lubbock’s vine of wineries, as many others would come along to make the “Hub City” a wine destination all its own. What makes the area so perfect for growing wine grapes? Experts attribute their success to the semi-arid climate like Spain and southern France, regions that produce such varietals as Tempranillo, Grenache, Albarino, Mataro, Viognier, and Shiraz. Italian Montepulciano and Sangiovese grapes also grow well in the High Plains, and its wineries produce wines that go far beyond your standard Merlots and Cabernet Sauvignons. Whether you’re visiting one of the many wineries in the region to experience something new, or strolling through the tranquil vineyards, you’ll see how some of your favorite Texas wines come together. If you’ve ever visited a wine region, from the Texas Hill Country to Tuscany, you know that it can be hard to decide which wineries to go to. This is made even more challenging because some may be far away, meaning you spend more time en route than you spend tasting and touring. That’s not a problem in Lubbock, where six award-winning wineries are nearby. Start at Llano Estacado Winery, the area’s fist winery that sits all of 10 miles south of the downtown area. 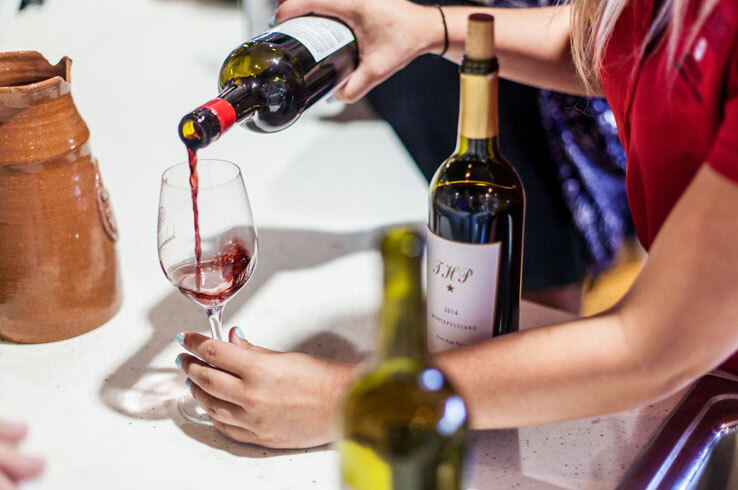 Fill your glass with one of the acclaimed reds and whites, such as the Viviano (a Cabernet Sauvignon and Sangiovese blend) as you delight in good company in the newly-renovated tasting room. With its romantic Spanish-style architecture, CapRock Winery has mastered the art of the first impression. Yet its Malbec and Tempranillo wines made using grapes from the nearby 4.5-acre vineyard will have your palate dancing the Texas two-step. Try these, and CapRock’s many other wines, in its charming tasting room just 10 miles south of Lubbock. For something closer, head to McPherson Cellars in downtown Lubbock. 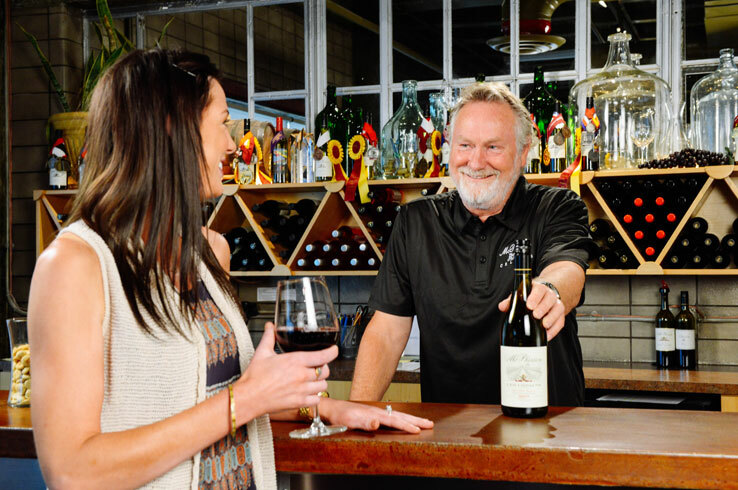 The minute you walk into the tasting room, formerly a 1930’s Coca-Cola bottling plant, you’re met with an eclectic and energic vibe and an expert ready to pour you a glass of award-winning wines. Owner Kim McPherson, son of Clinton McPherson, has been making wine for many years. If you’re lucky enough to catch him in the tasting room, be sure to ask about his favorites La Herencia, Les Copains, or Tempranillo. Of course, these are just three of the “Hub City’s” wineries, and the others are worth visiting as well. See the other wineries here. Sure, you can drive yourself from one winery to another. But why do that when you can let someone else sit behind the wheel? Book a tour with West Texas Wine Tours and all you’ll have to think about is what wine you’d like to try next. Climb aboard a luxurious limo bus with some new friends and get ready for a fun (and informative, of course) up to seven-hour tour of the area wineries. Perfect for dates, bachelor or bachelorette parties, or birthday celebrations, West Texas Wine Tours offers a stress-free way to taste the best of the High Plains. There’s nothing better than the perfect food and wine pairing, particularly when almost everything on your table is local. The “Hub City” is home to numerous restaurants that serve the wines of the High Plains along with dishes crafted using ingredients from nearby farms. The result is a sensory experience you won’t want to miss. Plan a dinner date at The West Table Kitchen & Bar, where a glass of Trilogy Cellars’ Reserve Malbec is the perfect complement to the charbroiled beef tenderloin or pan-seared ribeye. For a lighter dish, try the grilled ocean trout with Trilogy Cellars’ Pinot Grigio. La Diosa Cellars, on the other hand, is the place to go to taste the vibrant flavors of Spain. 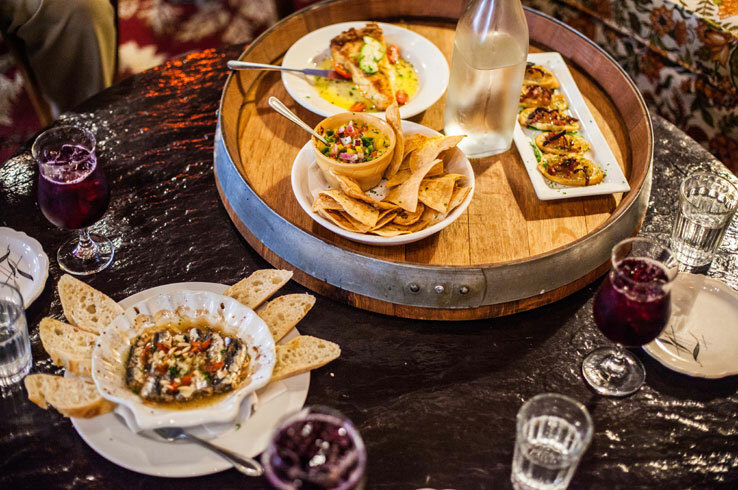 Located in downtown Lubbock, this bistro-style restaurant and winery serves delicious traditional tapas easily paired with La Diosa’s own wines (we suggest the sangria) from around the world. With the eclectic art and multitude of ways to tease your palate, a visit here is a must for wine lovers. There are, of course, many other places in Lubbock that pair local food and wine. Take your time as you sip and savor and you’ll find something you’ll really enjoy. Although you can visit Lubbock’s wineries any time of the year, you won’t want to miss out on the “Hub City’s” annual events that celebrate wine. 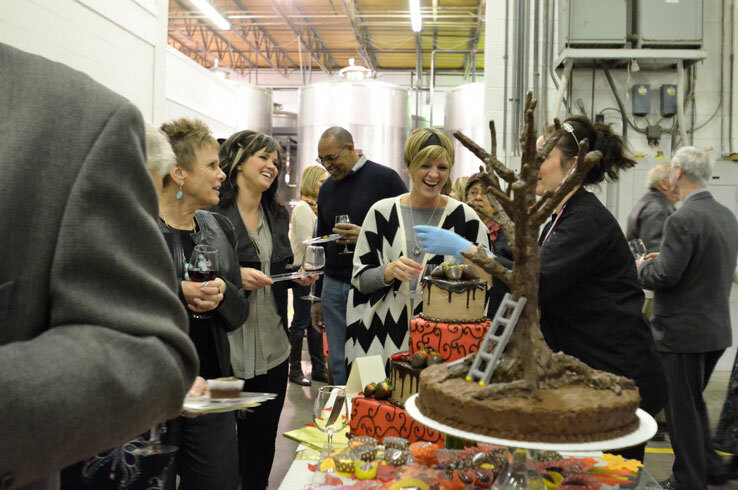 Head to Llano Estacado Winery in early February for Wine & Chocolate Fantasia, when local chefs create artful masterpieces of chocolate, and you can try the sweet confections paired with complimentary wine and listen to live music. Head over to the American Windmill Museum in early April for Lubbock Uncorked, a showcase of the finest wines from the High Plains and across Texas that includes food, live music, and wine education classes. Wine is like art you can drink, and Llano Estacado Winery’s Wine & Clay Festival brings the best of both together in early June. Fill your glass with the winery’s finest, check out the works of artists from around the state, and indulge in something tasty from one of the food trucks. For a winery outing fun for the whole family, don’t miss Grape Day in late October. Enjoy delicious food and wine while your kids play in the bouncy houses and get their faces painted. While there are many reasons to plan a visit to Lubbock, wine should be at the top of the list. 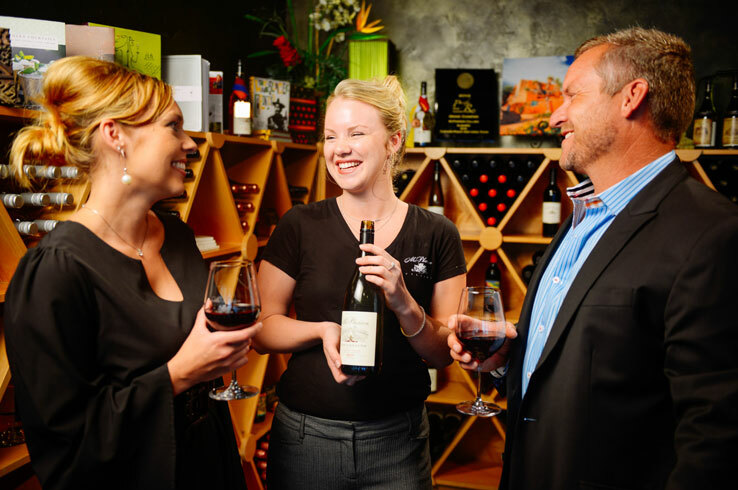 Discover what makes this area so ideal for grape growing, try out some of the state’s (and country’s) best reds and whites, and plan your weekend around a fabulous event with wine at center stage. Plan your trip to the “Hub City” here.